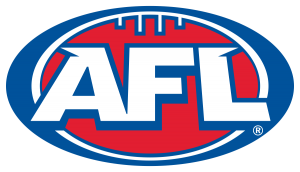 Sports Medicine Australia (SMA) is pleased to announce its new partnership with the Australian Football League (AFL) as a preferred provider of the AFL’s Emergency Response Coordinator (ERC) courses across Victoria and Australia. The three-hour ERC course provides an important introduction for parents and volunteers looking to work in community level AFL. The course covers topics such as; emergency medical planning, concussion management, on-field communication and transporting an injured participant. SMA CEO, Anthony Merrilees says the partnership between two leaders in the sporting industry will be a major boost for sport safety at every Australian football match across Victoria. AFL Academy Physiotherapist, Nick Ames says safer sport is a priority of the AFL and SMA. In Victoria, SMA will deliver the ERC course through its partnership with regional sports assemblies throughout the state. Sports Medicine Australia is a national multi-disciplinary member organisation that provides leadership in the area of sports medicine, and the healthy and safe participation of Australians in physical activity and sport. For more information, on our courses, click here.